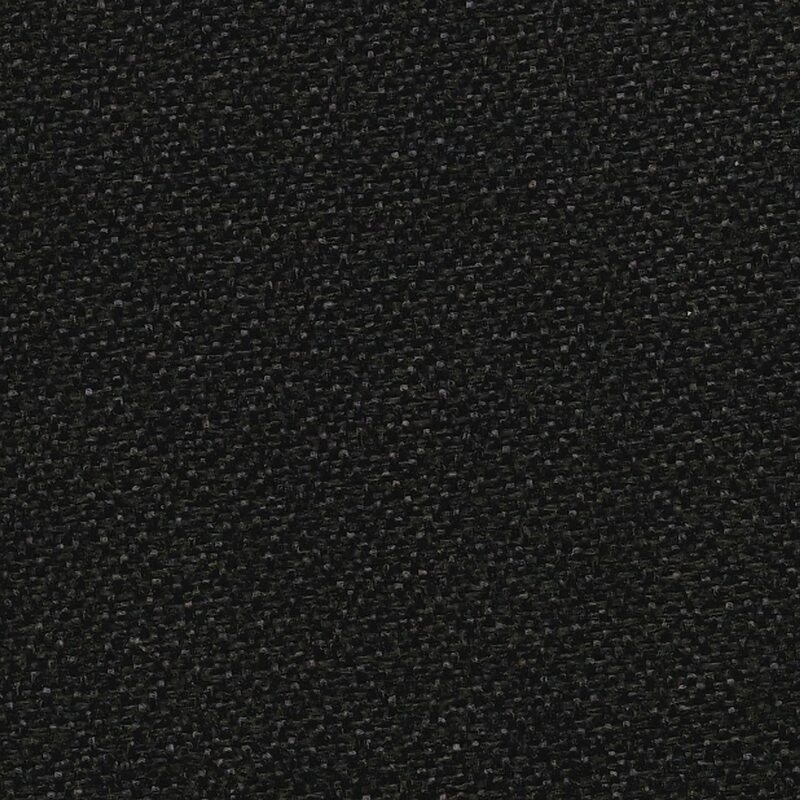 DURABLE BACKING – The thick fabric and durable high-density fiberboard backing are designed to withstand repeated use. Perfect for office environments. Comes with a 7 year warranty. 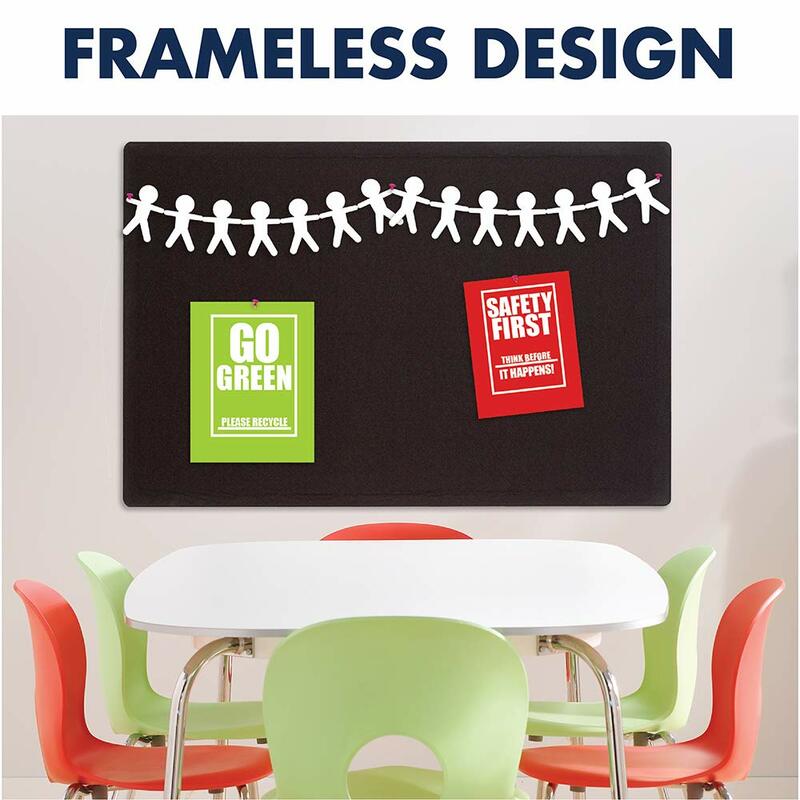 FRAMELESS DESIGN – With smooth fabric and a frameless design, this board will add modern style to any office, home or school. 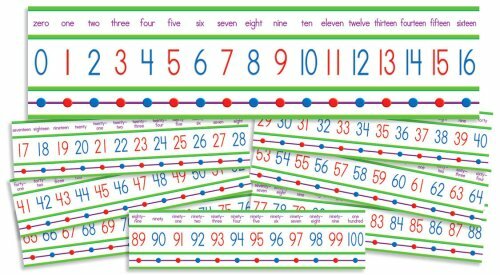 VERSATILE INSTALLATION – Flexible mounting allows you to set up your fabric bulletin board either horizontally or vertically. 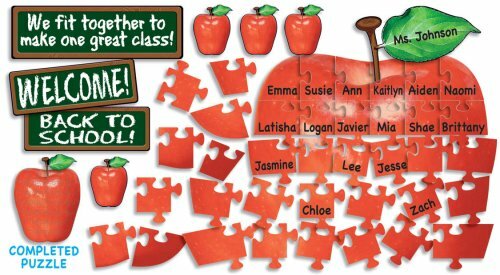 Easily customize the board orientation to fit your space and needs. 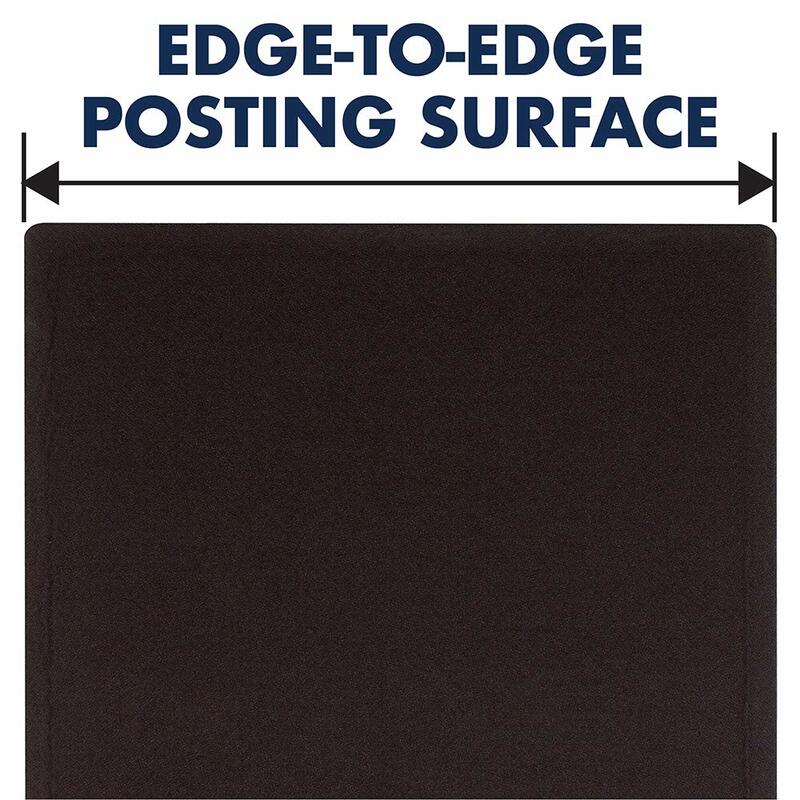 EDGE-TO-EDGE POSTING – Use every part of your fabric board. 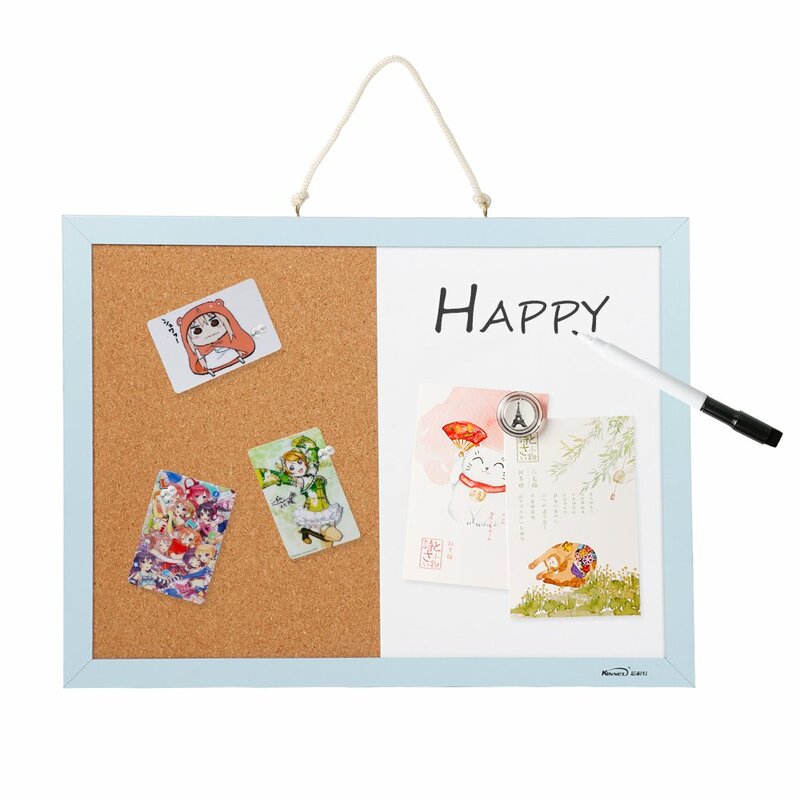 The frameless design creates a larger surface area, which lets you hang more documents than a framed board. 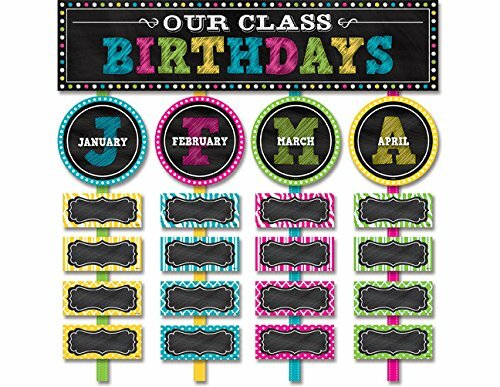 ADDITIONAL FEATURES – Black fabric board measures 4' x 3'. For best results use Quartet Accessories, sold separately. 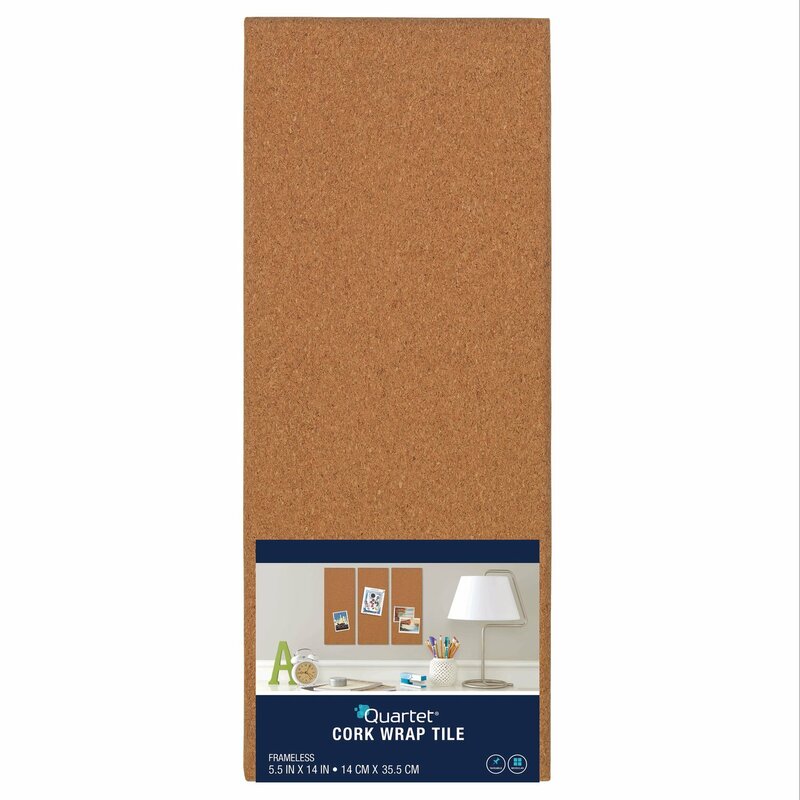 The Quartet Oval Office Fabric Bulletin Board provides a twist to the typical bulletin board. 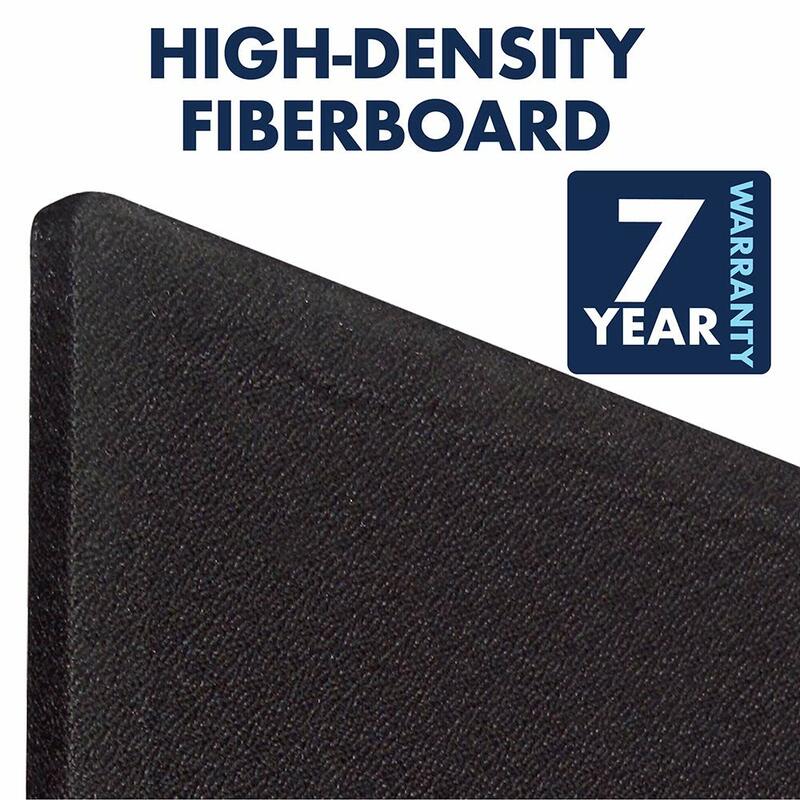 The thick fabric and durable high-density fiberboard backing are designed to withstand repeated use. Perfect for office environments. Comes with a 7 year warranty. 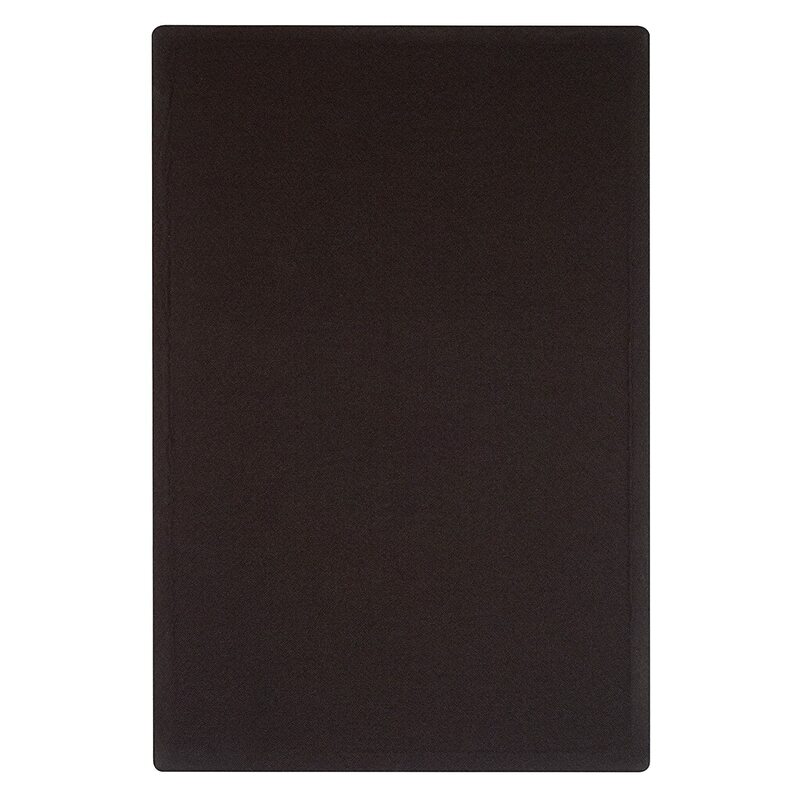 With smooth fabric and a frameless design, this board will add modern style to your space. The frameless edges create a larger surface area, which proves more room to hang items. 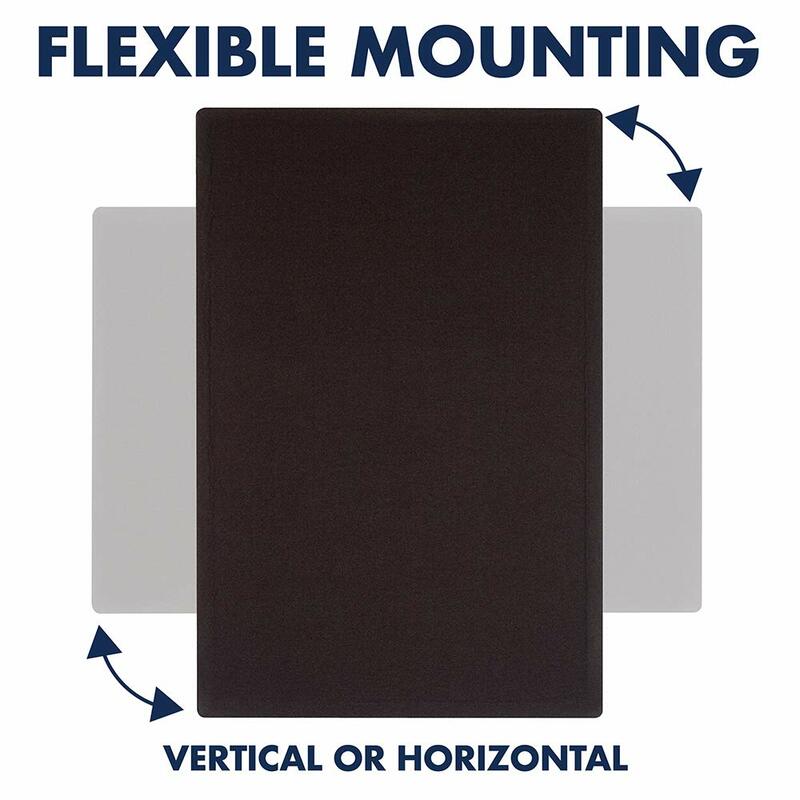 Flexible mounting allows you to set up your fabric bulletin board either horizontally or vertically. 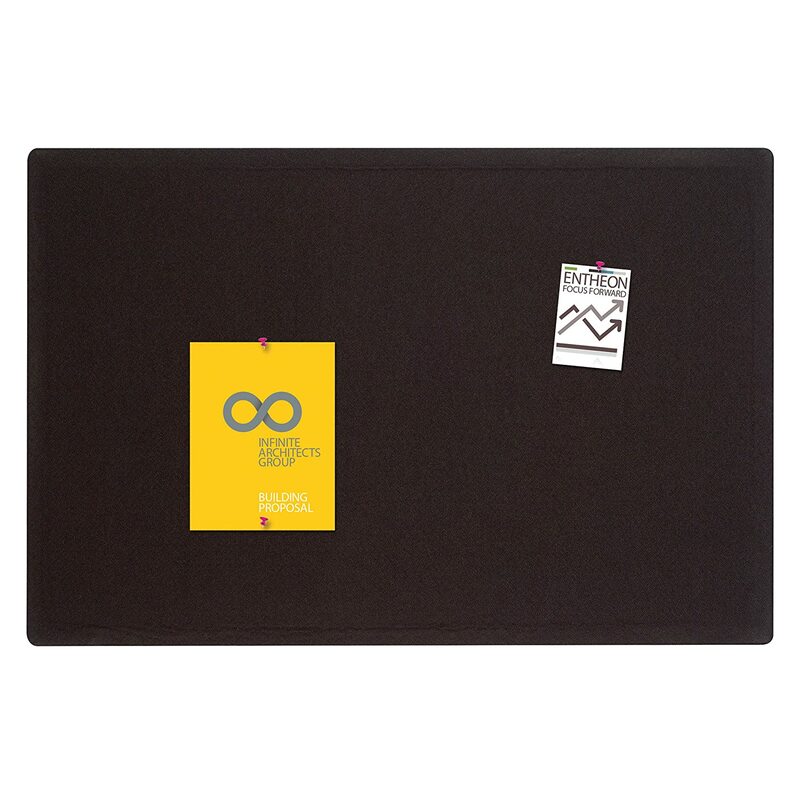 Easily customize the board orientation to fit your space and needs. 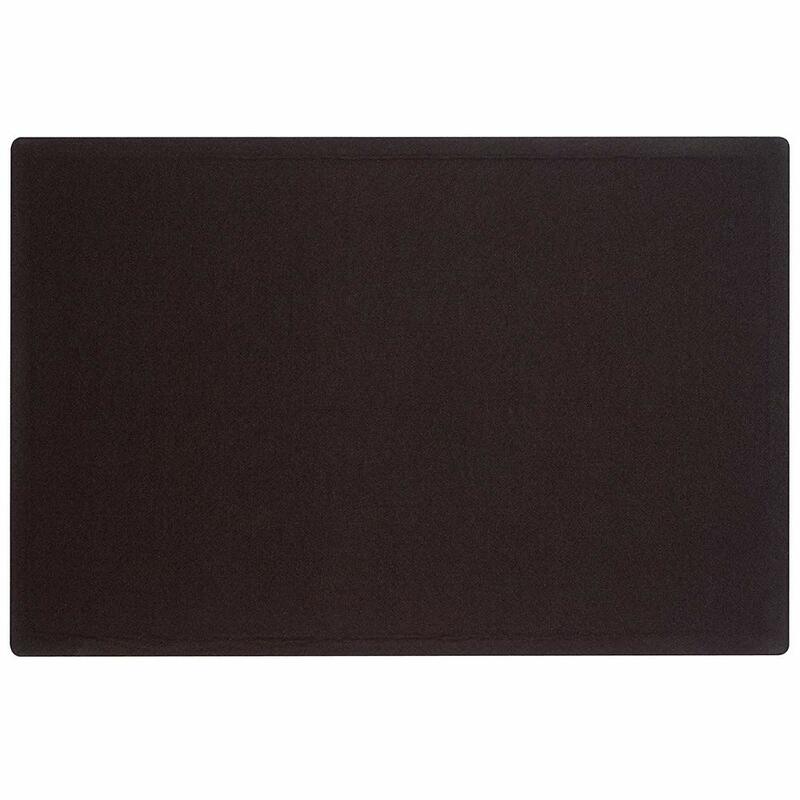 Black fabric board measures 4' x 3'. 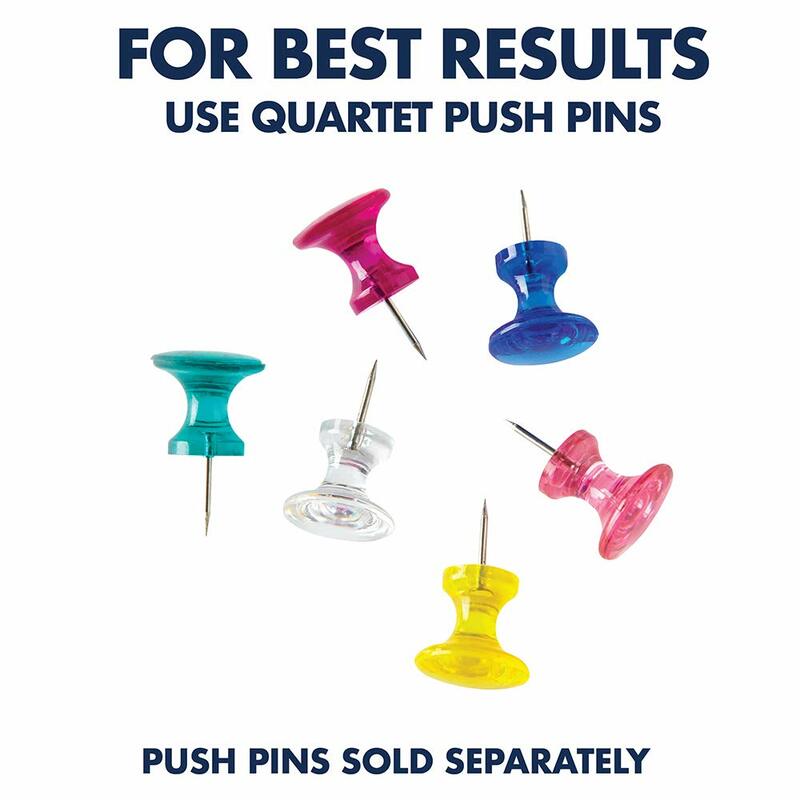 For best results use Quartet Accessories, sold separately.